and insisted on wearing it all day. But it has been wonderful to finally have everything here and feel like we are settled in a way that we have not felt before. Home. 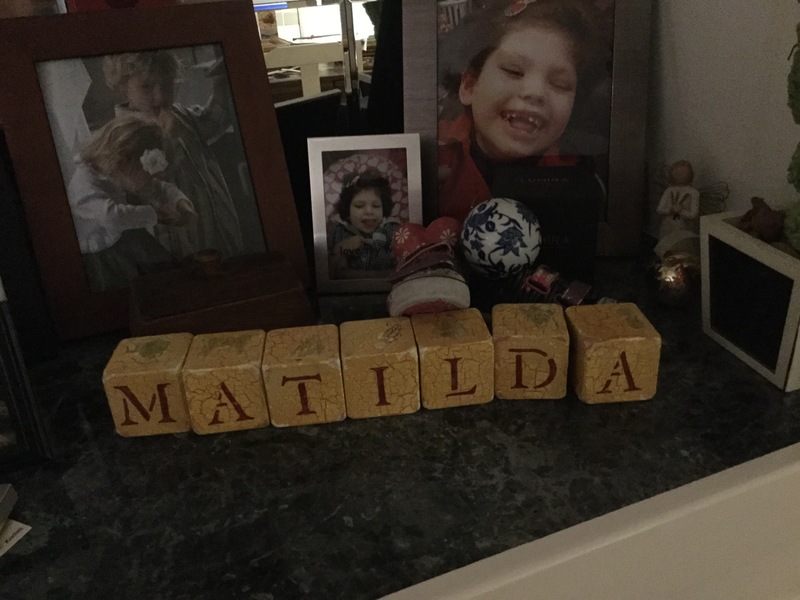 Tilda’s shoes have pride of place and our walls are adorned with her beautiful smile. 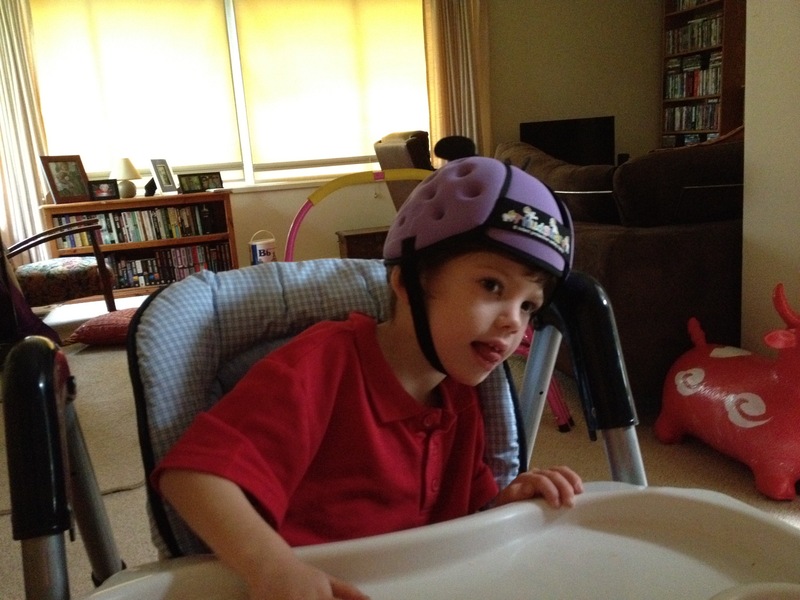 This week, we had another emotional pull when we went back to Glenallen last Tuesday. You lovely people helped us raise over $3000 last year when we jumped out of a plane on what would have been Tilda’s 8th birthday. 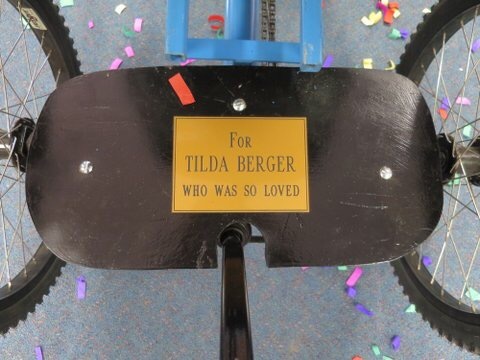 That money was used to purchase an amazing bicycle that the kids at the school can use, and that Tilda would have loved. 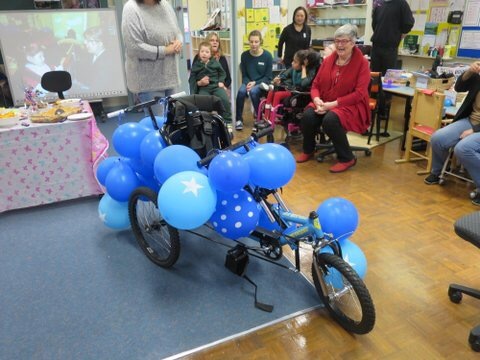 It fills me with so much gladness to know that her spirit remains at Glenallen and that many more kids will get pleasure from this wonderful bike. 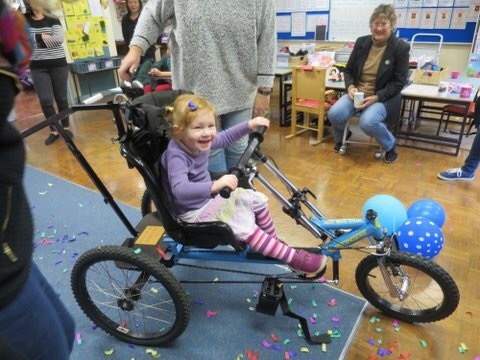 Maggie was the first to give it a go and she couldn’t wipe the smile from her face. Thank you to all who donated to make this possible and to the beautiful staff at Glenallen for such a lovely morning – always in our hearts.